UPDATE: This meeting has been cancelled. Please stay tuned for the next meeting. The next meeting of WORC’N is on Thursday, May 12, 2011 at 6pm. The host Ben Mauer of Quilted will order some pizza from Bela Luna. There is no doorbell for the first floor. Call Ben Mauer at 617-283-5764 for access. 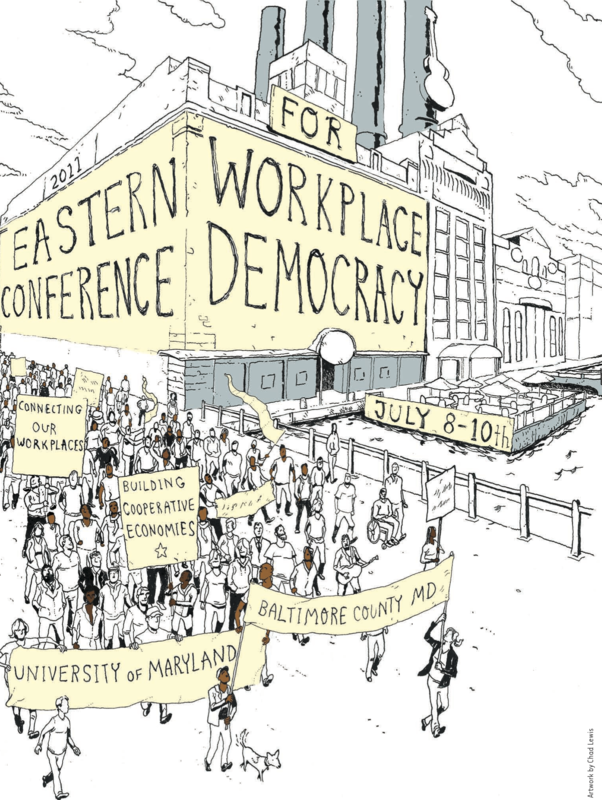 The 2011 Eastern Conference for Workplace Democracy will bring together representatives of worker cooperatives, ESOP’s, and other cooperatively-run organizations to strengthen the network of democratic workplaces in the Eastern United States. Through networking, seminars, tours, and storytelling, participants will exchange tools and solutions for democratic management and development of cooperative workplaces. We will share strategies for building systems for regional support and advocating for ourselves as we build momentum toward the 2012 International Year of Cooperatives. Stephe Prieston, Ben Mauer, and Stacey Cordiero, members of WORC’N, will be doing a workshop at the Boston Skillshare on how to start a worker-owned cooperative or convert an existing business to a co-op. Massachusetts was the first state to legalize the worker cooperative model. Learn how to set up cooperative legal and accounting structures, set up a democratic process for running your business, and where to find help and support for your co-op. If you work in an existing business that could become a co-op, find out how to make this transition and why the boss and the employees can both benefit from collectivizing the business. Visit the Boston Skillshare website for more information.